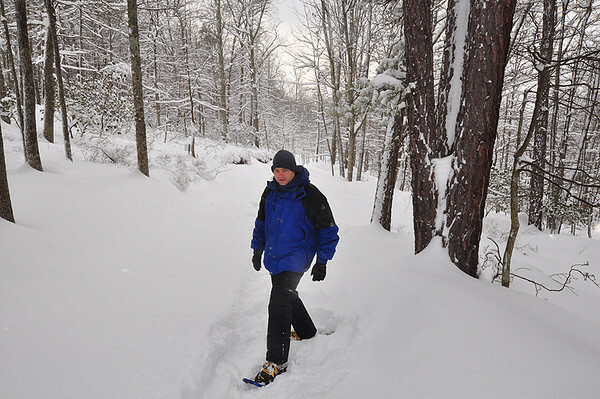 Me trekking the mountain in snowshoes. The cabin area received about 17-20 inches of snow during the Blizzard of 2010. I was lucky enough to get out of D.C. area in time to enjoy some great hiking in the snow. Taken 2.6.2010.